Through the power of student choice, Quinnipiac Dining Experience delivered on adding a new food concept that markets healthier and more customizable meals. 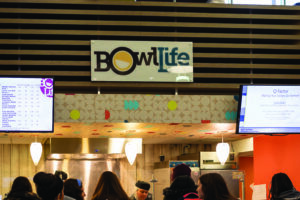 This concept is called Bowl Life and is now located in Cafe Q on the Mount Carmel Campus. 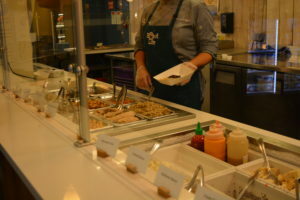 Quinnipiac Dining Marketing Manager Morgan Watson said that there was a student choice survey announced last semester that allowed the student body to vote for the food concept they would most like to see replace the Latin food station, SONO. The other options available on the survey included the choice to keep SONO in Cafe Q along with the choice to vote for one of these food concepts: twisted mac, smoked and masala. Bowl Life won by a landslide, Watson said. 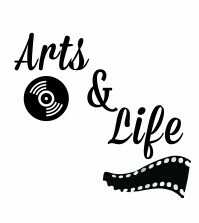 The data for the survey reveals that Bowl Life has 41.34 percent of the votes, 21.51 percent was to keep SONO and the remaining 37.15 percent was divided into the three other concepts. Although SONO has been removed from Cafe Q, it is not gone from campus for good, as it has since been relocated to the Bobcat Den. Furthermore, there has also been an update to Au Bon Pain Express in the Communications & Engineering building as well, where it has extended its hours and will now close at 4 p.m. Relocating SONO to the Bobcat Den was very helpful, according to Watson, since the Starbucks/smoothie station there was having a declining guest count due to popularity of Create Smoothies in Cafe Q and the licensed Starbucks upstairs in the Carl Hansen Student Center piazza. Bowl Life officially opened on Jan. 21 and Watson says that the station has already received a lot of positive feedback. However, there are still a few students who are displeased with the station, including senior health science studies major, Lauren Letterman, who said that Bowl Life’s concept is similar to the salad bar. On top of this, Letterman said she was disappointed that SONO was removed from Cafe Q. Letterman said that SONO’s new location could be a hindrance for students like her considering that she lives on York Hill and is an upperclassman. “If you’re a freshman or a sophomore, I guess it’s okay it’s there. But [for me] it’s just out of the way. 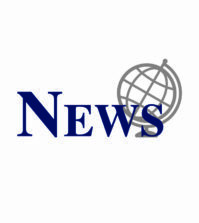 I never go down that way,” Letterman said. On the other hand, junior marketing major Megan Dyson said that she sees the benefits of having Bowl Life included in Cafe Q, especially when it comes to students who are unable to eat certain types of food. Letterman was also frustrated about the lack of communication to the students about the changes. “One of my underclassmen friends said that it was in the [Bobcat Den], so if I hadn’t heard that I would have no idea,” Letterman said. Sophomore computer science and game design major Dan Greenburg said that although he enjoyed having SONO at Cafe Q, he prefers Bowl Life more with its variety of healthy food options. Considering that there may be even more additional food spots on campus in the future, Greenberg suggested one popular food chain that could benefit the university. “I’d like a Dunkin’ Donuts here. We have a Starbucks, but Dunkin’ Donuts would be cool because I have a gift card.” Greenberg said. Watson said that students should be expecting another update to come to campus later on in the semester, which is that the Mondo station at the Bobcat Den will be replaced with Realwich.